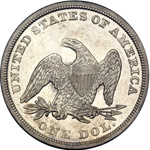 Seated Dollar production sank to a mere 20,000 coins in 1844, likely the result of limited bullion deposits. 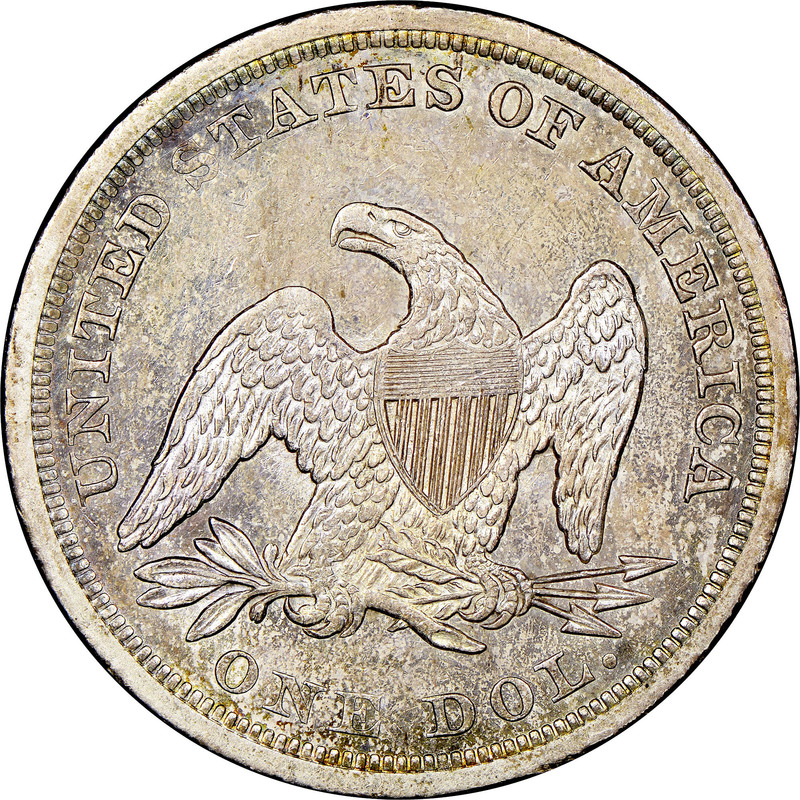 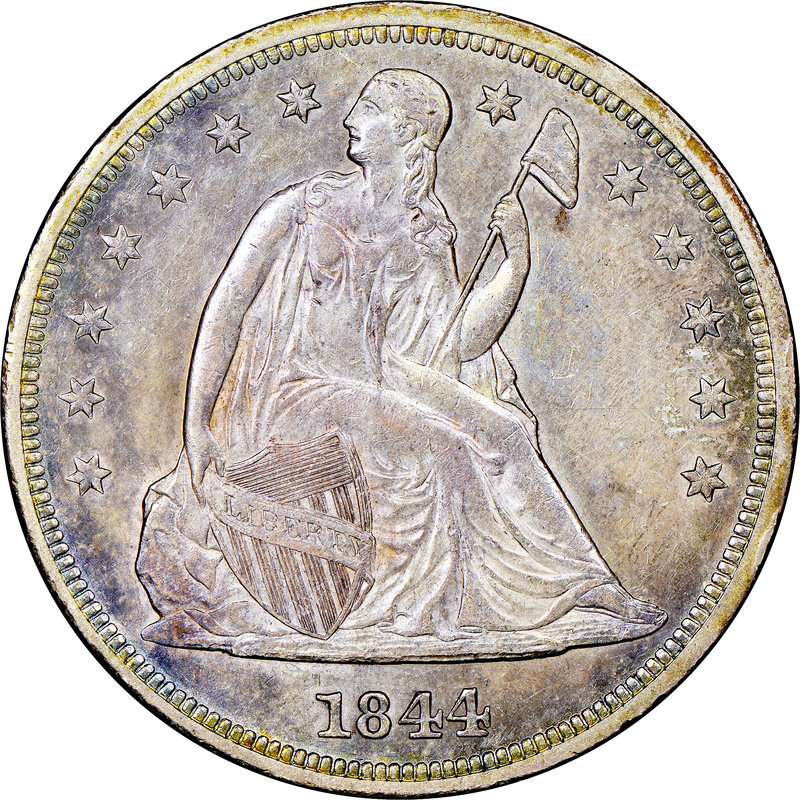 All known representatives of this issue display the following diagnostics: quad stripes in the obverse shield from die doubling, the top of an errant 8 in the drapery folds above the first 4 in the date, and numerous striations in the reverse field between the eagle's wings and body. 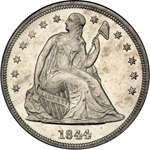 As the original mintage might suggest, the 1844 is a scarce date in circulated grades that becomes unquestionably rare in Mint State.